Profit WordPress Financial theme is perfect for accounting companies, brokers, financial consulting, insurance services, cryptocurrency, etc. 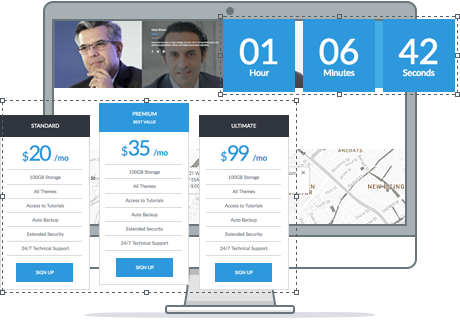 Profit features widgets for financial sector, fully customizable header slider with 3 layouts, and lots of content modules to present your business. 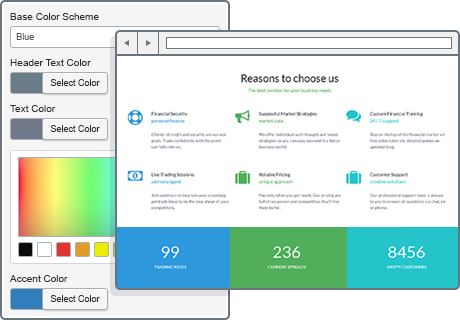 Personalize your site with favourite or brand colors. Simply choose from 4 predefined color schemes with complementary colors or apply your own ones using color picker. 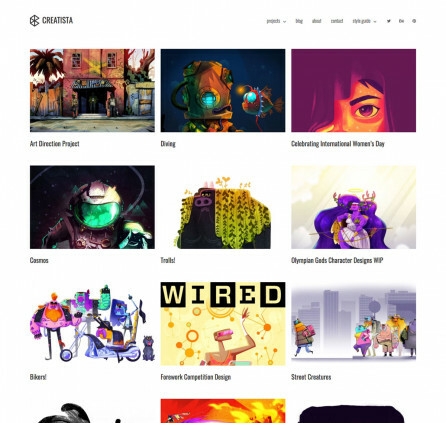 You may update the color of header text, website text, and accent (typically used for titles and calls-to-action) to make your site really colorful and unique. 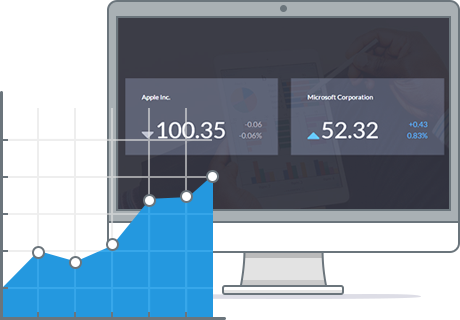 (Please note, we plan to remove this feature because it stopped working properly) This financial data widget displays real-time market prices and statistics information on your website. It provides your site users with access to the latest financial data of the needed companies in the elegant and readable way. 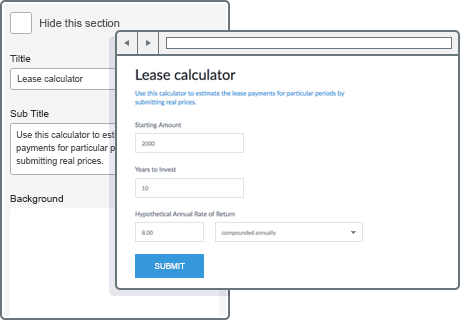 The site users are able to calculate their lease payments for particular periods by submitting real prices online on your website. The widget will help you enhance the overall user experience by providing useful tools for the customers’ needs. 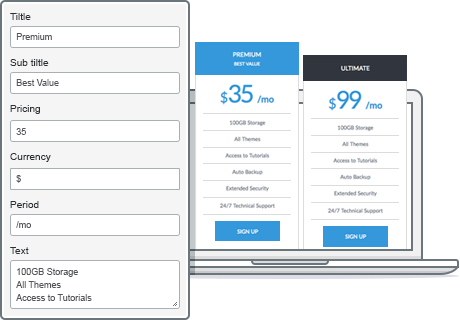 The theme offers a full range of in-demand content blocks to properly establish your online presence. You can display your projects in Portfolio section, present offerings in Pricing tables, introduce the stuff in a Team section, put Newsletter form, edit Testimonials section, set Contact form, and adjust Google map to show your location. This feature makes it easy for you to extend the possibilities of your site in terms of usability and functionality. 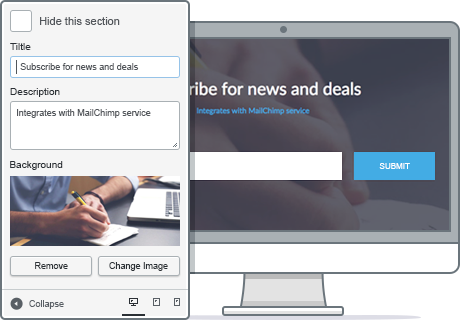 Easily handle interaction activities with bbPress, create online store installing WooCommerce, or add any other content element with MotoPress drag-and-drop frontend editor plugin. WordPress Page Builder plugin is a feature-rich website builder that works on intuitive drag-and-drop functionality and is supplied with numerous necessary content elements. It’s much handier than default WordPress editor as it will help you build a multifunctional website totally visually. 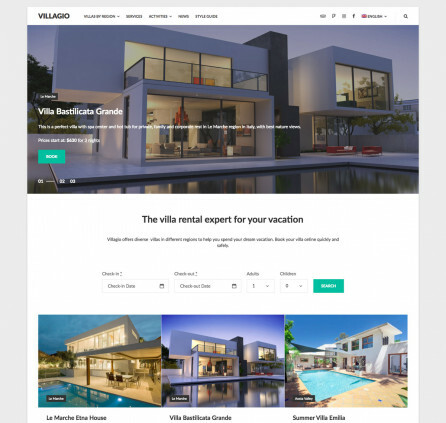 The theme is fully compatible with WordPress Slider. Get more freedom for the front page customization. You can change the positions of any content block or entirely hide the unneeded ones. All the tweaks are made manually without technical help. How can I install Demo of the theme? You can find XML file to import sample data to the theme but if you want to import all the settings and configurations we would recommend to import SQL file to your database. 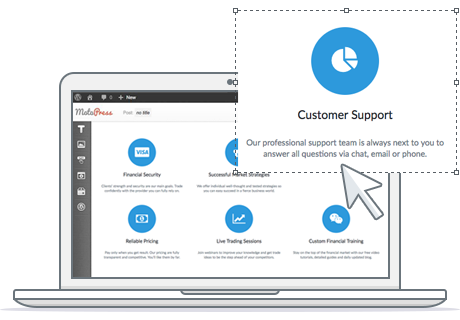 You can follow this guide or contact our support team for assistance. I would like to include the counter into the emmet theme , how should i do that? Thank you for your question. Counter widget is not available in Emmet by default. If you want to use custom widgets you can look for third party plugins for this. For example you can try using TF Random Numbers or Counter Number plugins and so on. You can email us if you have additional question on this. Make sure that you are using the latest version of the theme. If it is so, but the error is still there, contact our support team for further investigation. Improved compatibility with WooCommerce plugin.